in a nut shell, this app will be used by people to track pH,EC, nutrients charts, dates, plant growth cycles, up to yield. it will contain a repository of text from basic beginners to advanced growing techniques. hopefully it will be possible to interface with your diary (as an optional) to put check in reminders. it will have comparison and reporting capabilities to enhance the users understanding of whats going on and when against known baselines. it will have a lighting calculator for lumin based on bulbs. this is a basic outline but there is a lot more functionality i would add.. Helps gardeners etc. to keep track of how well their plants are faring. How does it track pH,EC...? I like your idea. I am an app developer and have multiple apps currently in market. 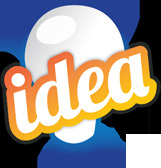 I would like to work on your idea. Would you like to work on this idea with me ?